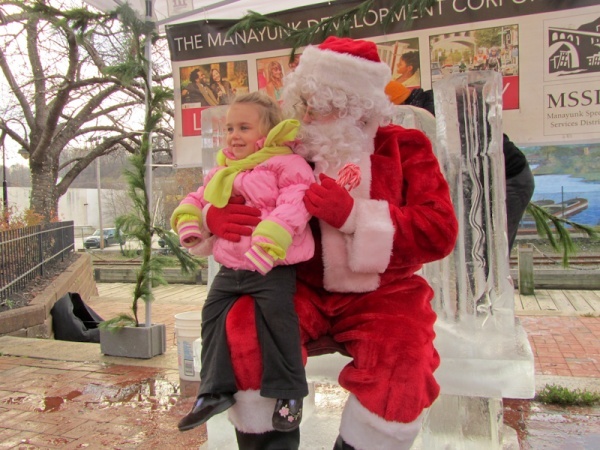 Santa Claus received an icy welcome in Manayunk on Saturday. 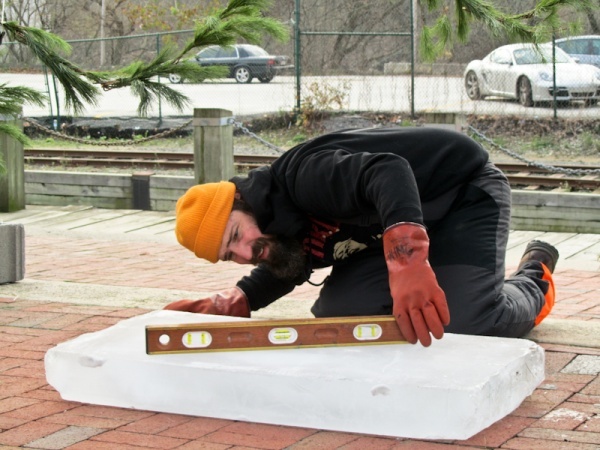 A small crowd gathered at Canal View Park just after 10 a.m. to watch a Philadelphia sculptor carve a throne for Santa out of a 300-pound block of ice. 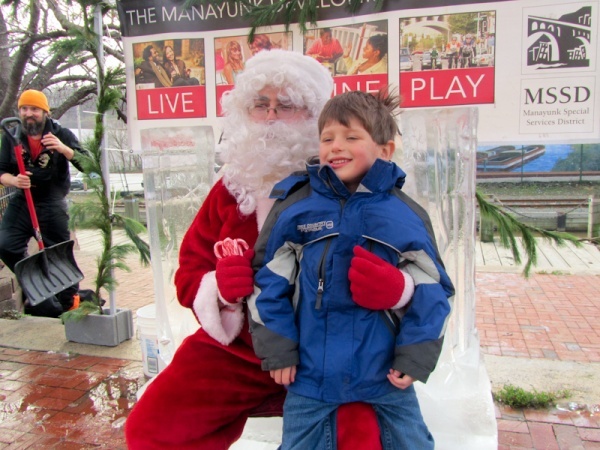 For the remainder of the afternoon Santa posed for pictures with children, pets and adults. Much of the crowd, including Manayunk Development Corporation’s Jane Lipton, was captivated by the carving. 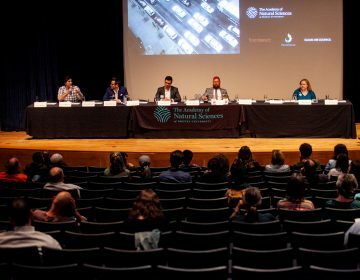 “Ice is an amazingly beautiful material, it sparkles in the sunlight, it glistens, it’s just a really beautiful art form,” Lipton said. 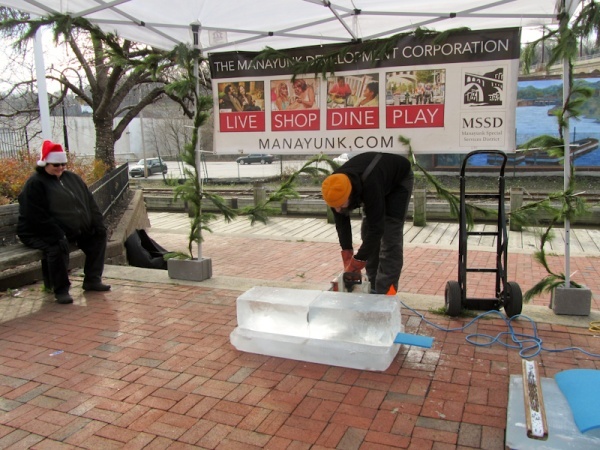 The corporation hopes the event will remind residents that the Manayunk on Ice festival will be returning in February for a second year after its initial success in 2011. Throne carver Roger Wing participated in the festival’s ice carving contest last year and plans to enter the contest again this year. The Valentine themed competition inspired Wing to create the most romantic carving he could think of, the image of himself doing the dishes for his wife. Wing has been carving ice for 14 years but also works with stone and wood. 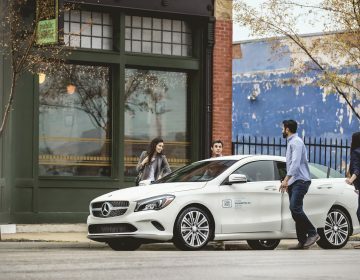 He lives with his wife and children, 5 and 7, in Powelton Village. Throughout the demonstration, Laura Smith and her 4-year-old son Henry stood very still, watching the action. 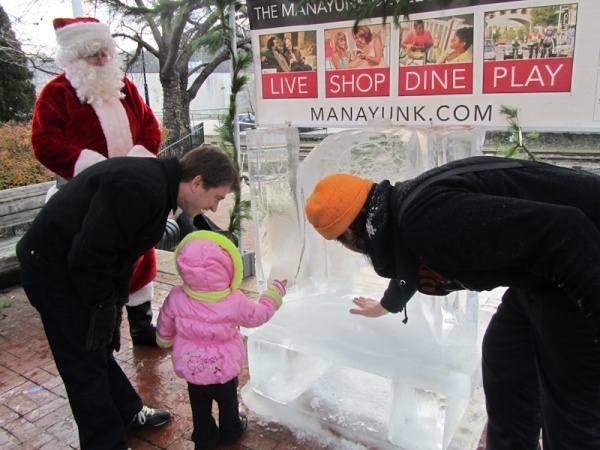 Smith said ice carving is a spectator sport and she’s looking forward to the Manayunk on Ice Festival in February. 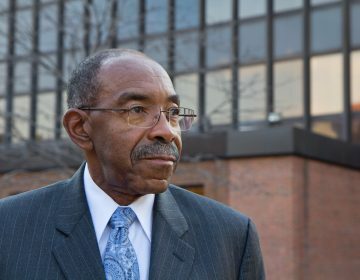 “[Henry has] been paying close attention to what’s going on, keeping half an eye on Santa to make sure he doesn’t sneak up on him,” Smith said. The other children were less shy about hopping onto Santa’s lap. After a little coaxing with a candy cane, Henry joined in on the fun.